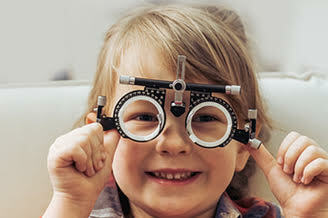 We are a local, optometrist owned clinic, dedicated to providing complete family eye care with onsite optical featuring eyeglasses, sunglasses and contact lenses. Our clinic is located in Burnsville and serves Savage, Eagan, Apple Valley, and Prior Lake. Our optometrists are experienced at diagnosing and managing dry eye symptoms, a common disease in this day and age, with the increased screen time. 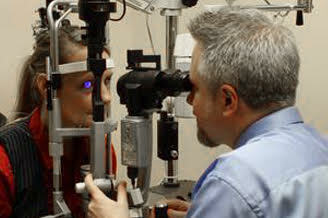 But we are also in testing for ocular disease management, LASIK and Cataract pre and post operative care. Our practice provides a full-service eye care package. Getting the right prescription lifestyle; your sports, computer, or work needs is important and being experts in determining the eye health conditions is important regardless of your age or physical health. Our optical offers a wide range of contact lenses, designer frames (hand picked for their style and quality) and children's glasses. This is so you not only look good, but it boosts confidence, and most importantly helps improve your quality of life. Q. Why do I experience dry scratchy eyes? Fantastic place for eye care. Exam was quick and easy. Staff was all amazing!!! Dr. Emily Ufken and her staff are the best! Dr.Ryba was fantastic, extremely curtesous, and engaging. Durinf the exam she was incredibly professional and present to my concerns. Very professional and excellent service, all staff very friendly. I feel like family thanks and i will recommend to all people. I took my dad here for his eye exam today for the first time and we both like the place. Much better than his previous one, that’s the least I can say. The front desk ladies are welcoming, friendly and professional. 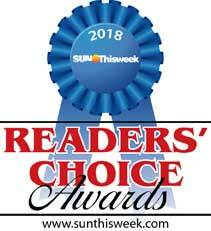 Dr.Ryba is very professional, caring, patient, respectful, and warm. Highly recommended! Great doctors and great staff! 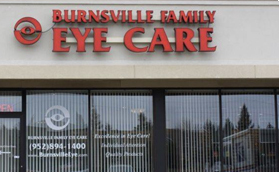 Love Burnsville Family Eye Care! Great staff, very friendly, makes you feel comfortable and like a family. Definitely recommend going here ! !